Contributing to open source software can be scary. We all want to help sharpen our tools, but most of us don’t know where to start. After my patch was merged, I searched through the contributors page for my name. Unsurprisingly, my tiny contribution hadn’t bumped me to the top of the list. I’m a strong believer that your test suite should serve as living documentation, so I decided that I’d rather pick a package and dive into its test suite. Since the framework was in the middle of its migration from Handlebars to HTMLBars, I assumed the tests covering the ember-htmlbars package would be the freshest, and thus most interesting code. I was even able to submit patches to user-facing code, first scratching my own itch (ember.js#9798), then scratching someone else’s (ember.js#9734). Unfortunately (or fortunately, depending on the code), your patches aren’t always merged. 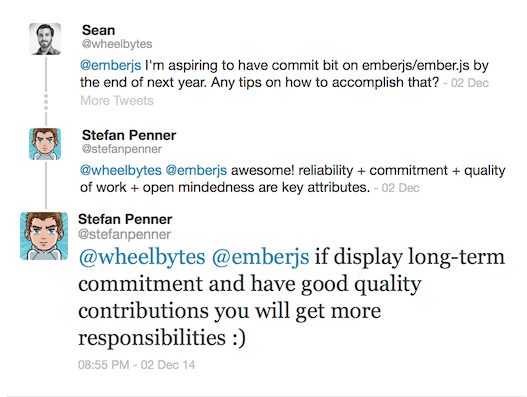 As a first-time contributor, my biggest fear was that my code wouldn’t be good enough. I feared that I would be derided or feel belittled and rejected. The important thing to take away from rejection is that a closed pull request isn’t the end of the world. 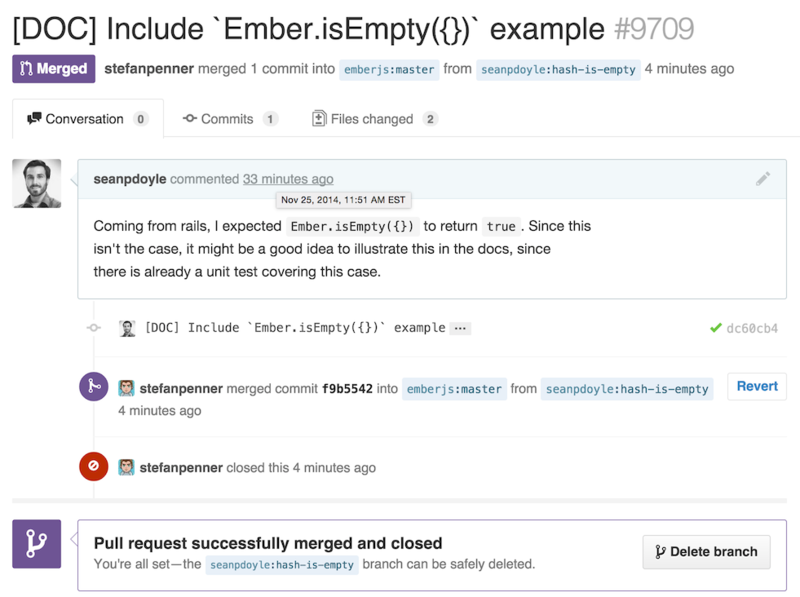 As long as you learn something from the closed pull request, it was not a failure. Don’t let rejection discourage you from contributing in the future. Hoptoad now supports GitHub integration! What Good is a Flexible Paperclip?